To buy from Amazon or Ebay: log into either then type, Arran Lesser into the search box. The book should then come up. NB - Cheaper to buy from Ebay due to Amazon charges. Even cheaperer still to buy from one of the Arran bookshops! Even cheapererer still to buy direct from me. Oh, and you also have the option of a SIGNED copy! I am Alex Drain and this is my website. The purpose of the site is to introduce myself, introduce my readers to the Isle of Arran and introduce my book with a view to a sale. 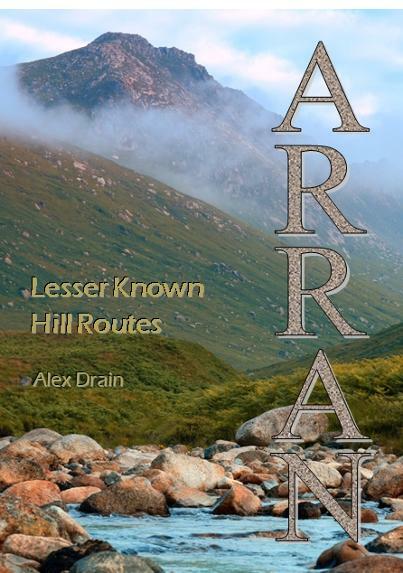 I started writing this book in 2013 because I thought that most of the hill walking books about Arran were very poor. Some looked as if they were written by so called professionals to a standard text during a weekend visit. I wanted to be different. I completed all sections during summer 2017 and published on 1 December. Please use the Contact form to get in touch if you want to buy direct (by cheque - £7.99 and I'll pay the postage . Alternatively, payment can be made by bank transfer. Keep up with news by regularly checking out the blog.